Dawson’s father, the son of prosperous tenant farmers, came to Canada from northern Scotland in 1811. The 22 year old had traveled to Pictou, NS at the request of a merchant there. Eventually, he established his own mercantile business that was flourishing by the time he married in 1818. His bride was Mary Rankine of Stirlingshire, Scotland, who had arrived to Nova Scotia with her brother, an agent for wild lands of the province. The Dawsons’ first son, William was born in 1820, followed by another son who died of scarlet fever when he was still only a child. Sixteen year old William was deeply upset by the death of his younger brother, but he must have found comfort in rambling through local pastures, woods, bogs and swamps, collecting berries, flowers, birds and insects. His passion for collecting and studying was encouraged by his parents and teachers at the grammar school he attended in Pictou. Dawson's collections grew to include fossils and minerals from the area as he proceeded from grammar school to the Pictou Academy. Large quantities of fossils were of the Carboniferous Period, collected in Joggins and other locations throughout Nova Scotia. Many vacations were spent combing beaches littered with minerals and fossils of reptiles, amphibians, fish, plants and complete tree stumps in situ. He augmented his collection of Nova Scotia minerals and fossils by trading with other notable geologists such as Sir Charles Lyell. Upon graduating from the Academy, Dawson went on to the University of Edinburgh where he would finally receive formal training in geology. His studies there were abruptly cut short by financial problems; he had to return to Pictou after completing only one year. 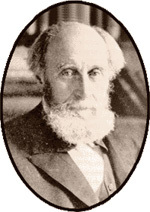 Dawson's contributions went well beyond those of a scientific research: he was a lecturer at Dalhousie University, the first Superintendent of Schools in Nova Scotia, and Principal of McGill University. During his time there, he helped establish the Peter Redpath Museum of Natural History which houses a large portion of his collection. In 1884, Dawson was knighted for his contributions to science, religion and education. He died just five years later in Montreal.